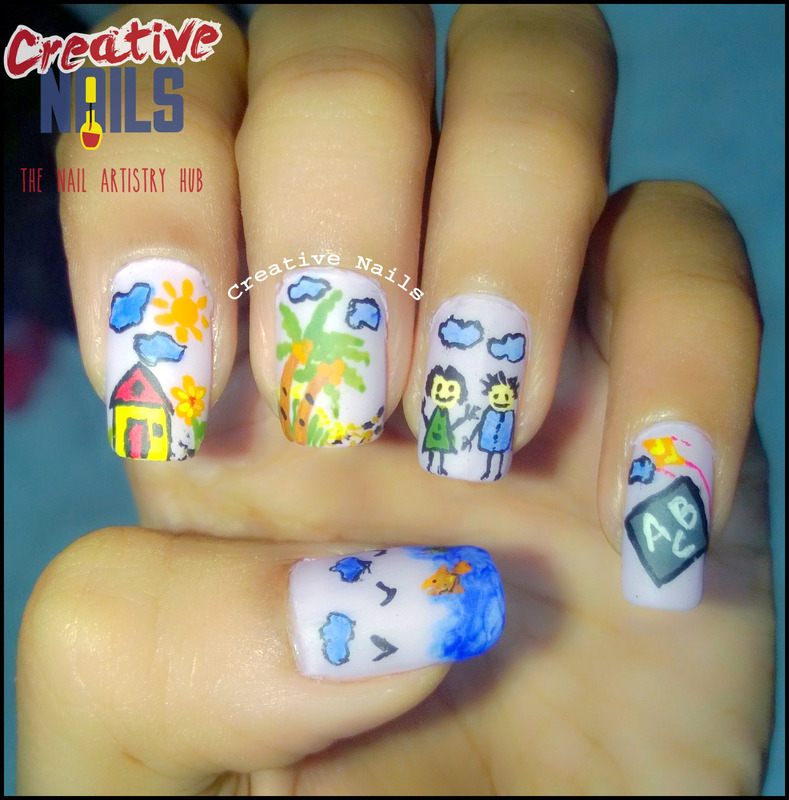 Children’s Day Special Nail Art! I know we are no more kids. But don’t you think we all have a child inside us? I mean, for being a child, do we need to be of that age group? If you ask me, I say NO. Any human being who still has innocence left within him, who can be happy without any reason, who can make others smile and who can forgive others can be called a child. very cute nail design..beautifully expressed ! Love it. We need to keep the child within us alive.